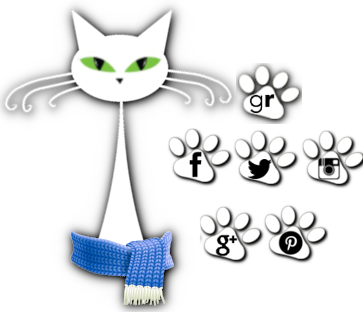 herding cats & burning soup: Interview w/ Lauren Boyd! Thank you for having me! I’m so excited to be here! 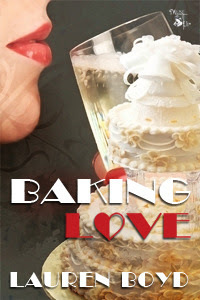 Baking Love is your first book to be published, right? ::That’s right! :: That's so exciting! Could you tell our readers just a bit about the book and what inspired Kate and Eric's story? Three years ago, Kate Sullivan fell in love with her best friend, Eric Wagner. Before she could tell him, he abruptly ended their friendship. Now Eric has walked into Kate’s bakery and back into her life—but why? Is he here to confess his love for her? No. He’s here to order his groom’s cake. He’s getting married…to another woman. I know it sounds cliché because a lot of writers say it, but the idea for Baking Love just came to me one day. In fact, I was writing for children when the idea popped into my head about a girl owning a bakery. The idea kept evolving, and finally I started making notes and writing the manuscript so I wouldn’t forget anything that had come to mind. I love that Kate is a baker! Was there any yummy research involved in creating her character? I used to decorate cakes as a hobby…until I realized I’m not very good at it. I’m not artistic—at all—by any means. However, I do know how cake decorating is supposed to go. When I wrote Baking Love, I “filled-in-the-blanks” of what I knew with yummy research. I used Wilton’s website, forums where bakers chat, YouTube cake decorating videos, and other sites and sources. I loved learning even more about the art. Incidentally, people who decorate cakes amaze me. I mean, what talent! It's really amazing what people can do with them. My mom's a baker and makes gorgeous cakes. I so didn't get that gene. Mine are always a disaster. LOL So, if you could spend an entire day with Kate, what would you love to do with her? I would see if there’s anything she could do to help me improve my cake decorating skills—any tips, hints, anything. Ah that would be fun...and yummy! Do you have a favorite moment in the book that just grabbed your heart? Traditional wedding cake? Or something exotic? One food you couldn't live without? Thanks for having me! I hope you, and everyone else, love Baking Love! Alright dearlings, do YALL have any questions for Lauren? Feel free to leave her a comment or two!